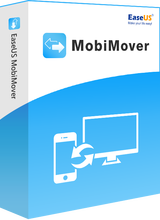 EaseUS MobiMover Pro 3.0 - Transfer data between two iOS devices, migrate content from your iPhоne to PC. Transfer data between two iOS devices, migrate content from your iPhоne to PC. !! !Complete the tasks and instantly get your unique activation key!!! EaseUS MobiMover provides comprehensive management solution for iPhone and iPad files. As a reliable iPhone data transfer software, EaseUS MobiMover allows to transfer numerous iPhone contents, including contacts, photos, music, voice memo and more. In addition to transfer features, EaseUS MobiMover is also outstanding in iPhone file management. Cannot complete the task, it cannot save my email address. It is very confusing and frustrating. FYI these points systems don't work. The download link worked and left with a check mark. I clicked Share Giveaway... the page redirected to facebook where I shared and when it redirected back to GOTD a popup came up and said Error and I didn't get the check mark. I clicked Follow EASEUS and it redirected to facebook and I clicked Follow and the button changed to Following but then nothing happened. It didn't redirect back to GOTD and I didn't get the check mark.